Once you've registed with DPS, you can apply for open positions directly through the DPS WebCenter. When applying through the DPS WebCenter, a notification is sent directly to the assigned DPS Staffing Coordinator. If you're a good match for an open position, a DPS Staffing Coordinator will contact you to give you an overview of the position including the submission and client interview process (if necessary). If selected for an interview, you will be notifid at that time. 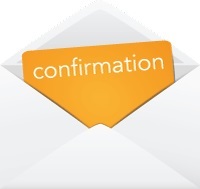 What Is An Assignment Confirmation? Your assignment confirmation, sent via email, will have all of the critical information regarding your assignment including job title, pay rate, time entry system and process, client name and location, on-site manager, staffing coordinator, and any other essential details. Color Blind Screening What Should I Do Before Accepting An Assignment? DPS hires employees for a varitey of assignments. Before accepting any assignment, check your calendar for proor commitments and make sure you are comfortable with the location, pay rate, parking options and dress code. It is important that your arrive on time. Arriving early not only makes a good impression, but leaves you time to familiarize yourself with your assignment location, especially when starting a new assignment at a new location. We want to hear from you! When you are on an assignment, it is your responsibilty to check in with your staffing coordinator once a week to let us know how your assignment is going. If you have any issues or concerns, do not hesitiate to contact your staffing coordinator! Remember, we are open 24 hours a day, 7 days a week. Our goal is to get you a new assignment! Talk to your DPS Staffing Coordinator and let us know your availability so that we cab workd with you to find a new assignment that matches your skill and personality. We are your career home-base! It is your responsibility to report to DPS for re-assignment within 24 hours! Failure to report within 24 hours for re-assignment will indicate that you have refused available work, quit working and your file will be deactivated, and may affect your ability to receive unemployment benefits. DPS staffs temporay, temp to hire, and direct hire placements. If currently on a temporary assignment, you are to obtain permission from DPS before discussing direct hire employment with a client. Employees are not to work for an assigned client through any other agency or directly for the client unless one year after the employees' last DPS assignment date has passed or if contractual obligations for hire have been met by both employee and client. The clients of DPS require clean, well-groomed employees with a neat, professional appearance and a good job performance. Failure to comply will result in you being turned down for assignments or in termination if you are abusively non-compliant. Facial hair must be neat and trimmed according to OSHA/Universal precaution standards. Office employees must dress professionally. Clinical employees are required to wear scrubs. Scrubs must be clean and pressed. All visible tattoos and body piercings, inclusive of tongue, eyebrows lip, etc. must be covered or removed while on client site. Industrial employees are required to wear long pants and work shoes or boots/uniforms. Many industrial jobs will require safety equipment. All employees of DPS are required to wear close toe shoes. NO JEANS are acceptable for any client facility with out DPS permission. DPS or clients may provide necessary safety equipment, badges and.or uniforms. You will be required to wear it as requested by our clients. If equipment is lost or damaged, you will be expected to pay for its replacement via payroll deduction. Parking is not paid by DPS, please ensure that you ask your coordinator about parking options before accepting an assignment. It is your responsibility to take care of cost associated with parking throughout the duration if your assignment. At Dean's Professional Services, we understand that social media can be a fun way to share your life and opinions with family and friends. However, as a professional there are certain responsibilities that come with sharing on social media. You are responsible for what you post online. Consider your risk before you share a post. Content and subsequent conduct affect your job performance, someone else's performance, clients and suppliers. Shared content could result in disciplinary action, up to and including termination. Do not misrepresent your employer on social media. Do not list any company outside of Dean's Professional Services as your employer. Do not misuse client property. Surfing, posting and networking on social media for personal reasons while at a client site is unacceptable and not permitted. Employees are permitted to use emails and the internet when appropriate for their job. Limited personal use may be permitted on an employee's own time (i.e. during breaks). Additionally, usage must be in accordance with client guidelines.